I grew up in the high desert and went to several colleges around so-cal. Tested out of most of my core classes for my English degree so I spent most my time learning about literature, psychology, and philosophy. Took every creative writing course I could and put most of my efforts into my writing via clubs, classes, and meet ups. After college, I continued studying and writing for pleasure. Eventually I used my unique collection of knowledge and skill to publish a book. I published Darkness and Joy last year and have been working on the sequel most of this year. 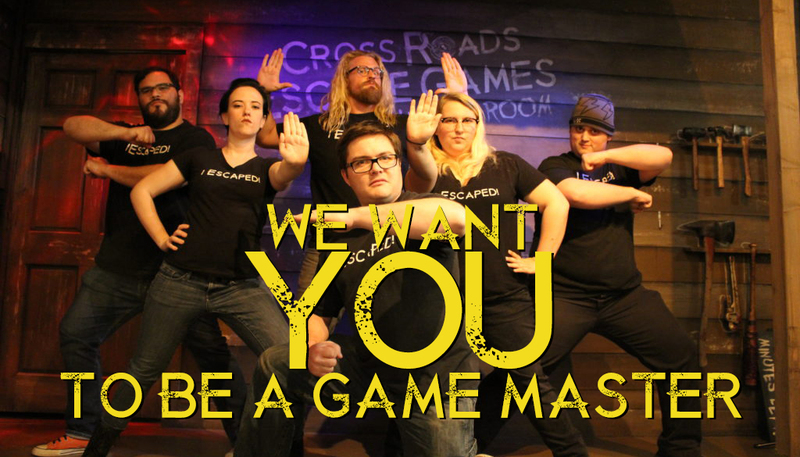 I have been working at Cross Roads Escape Games since September 2016 and I am currently a Manager and Game Master. Greetings and salutations dear readers. 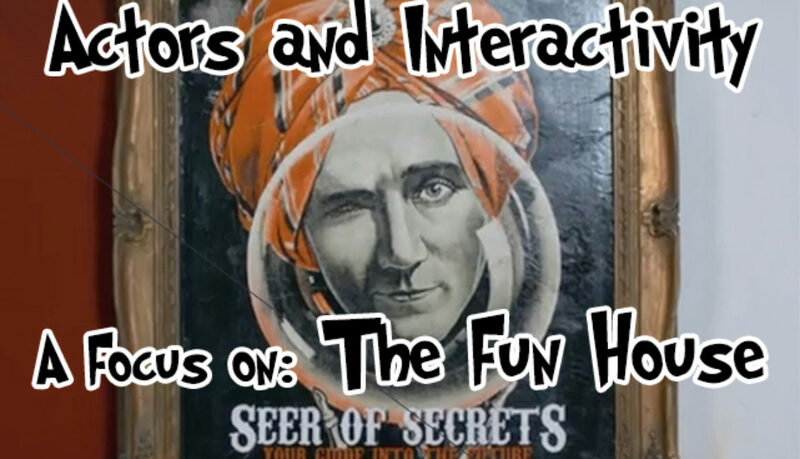 T’is I, Zoltar the Great, seer of secrets, blogger, avid gossiper, and your guide to understanding my strange neighbors. You have no idea how often I get asked about the “goings on” in my neighbors’ rooms. Honestly though, if one more detective asks me about “disappearances” or if I can use my crystal ball to “solve pending murder investigations” I swear I am going to lose my marbles. I mean, come on detectives… haven’t you heard of a thing called privacy before? I will be no one’s minority report. 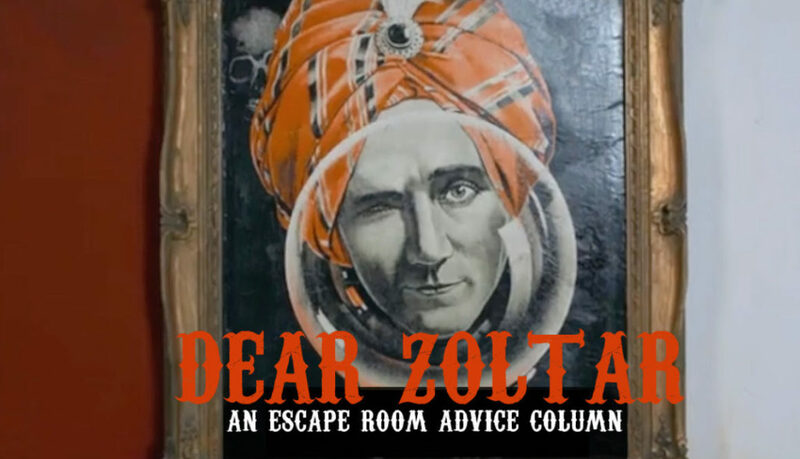 Either way, since people keep asking me about the Hex Room and the Psych Ward, I figured it was a good topic to cover in my blog. After all, I am nothing if not a servant of the people. First, I will start with the Hex Room. So many people misjudge my neighbor. They hear “Hex” and they think “curse” when in reality, the name is merely a geometry pun. Get it, Hex Room… because there are six rooms. Hex… Six… You’d be surprised how many times I have to explain that. Moving on! My neighbor may seem a bit obsessed with horror films, but honestly what would the world be without a few nutty cinephiles in it anyways? Every day he hosts screenings of his favorite scary movies and invites strangers to come and see what it’s all about. They must be having a grand time over there as well, because I hear screaming at all hours of the night. I guess it is a bit too much to ask to get an invite myself. 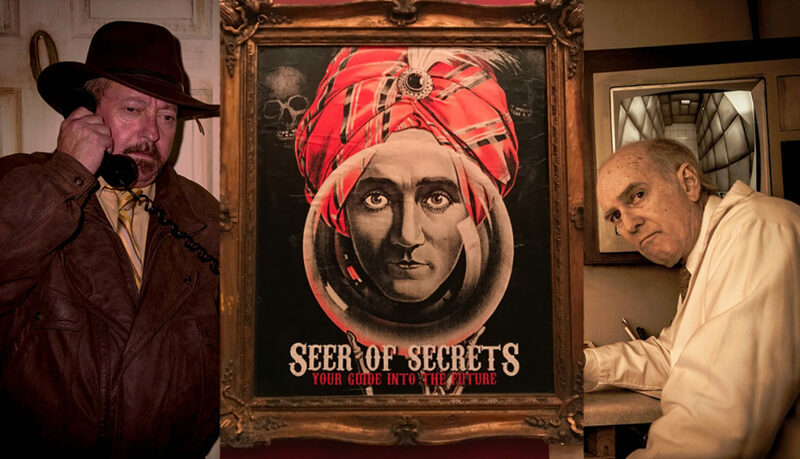 Not like I am the seer of secrets, a national ping pong celebrity, and happen to be a KILLER edition to ANY party. But whatever. I don’t mind. And as for my newest neighbor, Dr. Griffin. He seems friendly enough. Maybe a tad bit on the workaholic side of things, but I hear he is working on something very VERY important! And whatever he is working on must be big, because he sure does recruit a lot of volunteers. You see, dear readers, there is nothing really to talk about when it comes to my neighbors. Just your standard, run-of-the-mill, neighbors that are obsessed with either their work or their hobbies. Nothing too interesting there. Nothing as cool as a magical all-seeing painting capable of mystical perception and intuition. That is to say, they are nothing as grand as yours truly, the great and magnificent Zoltar! — Zoltar the Great, the amazing, the perfect, the beautiful, the seer of secrets, and self-designated neighborhood watch leader. The Halloween season is upon us and the hour for spooky activities is nigh! Horror fans and thrill seekers alike crawl out of our eerie tombs to go enjoy the festivities! Haunts, horror films, and theatre productions; with so much to do, how is a ghoul to choose one thing over another?!? But what if there was an option that combined the best aspects of all three? Now that sounds like the kind of thing a proper thrill seeker can get behind. 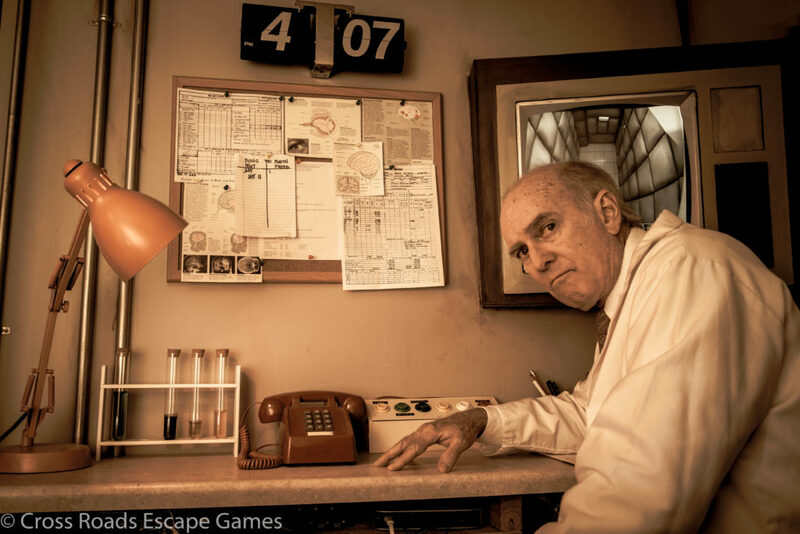 Of course, you have probably already guessed that I am talking about escape rooms; the perfect blend of wits, grit, guts, and horror! Inside of an escape room you and your friends will get the chance to step out of your skin and into your very own horror movie. 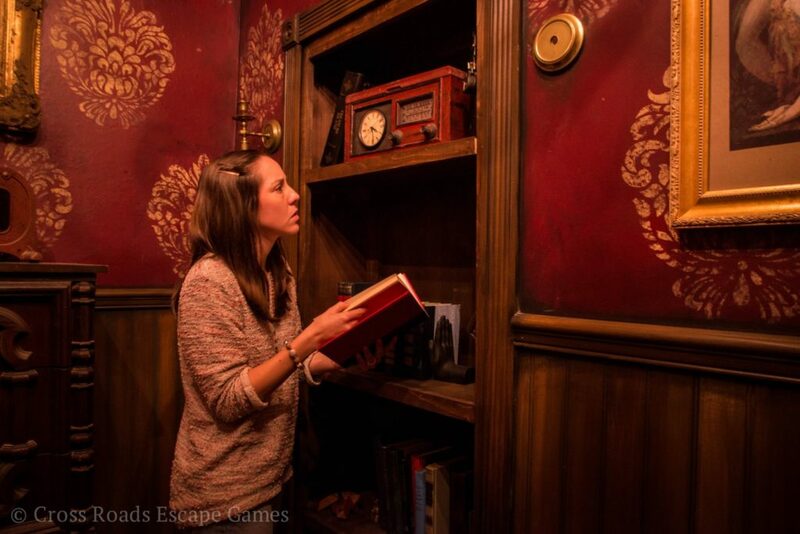 Once inside the walls of an escape room you must race against the clock to find clues, solve puzzles, and try and make it out alive. This year has been very good to us horror movie junkies, putting out great film after great film. After each great film there is always the conversation of “how would I survive that movie?” It is a great topic of conversation, but have you ever wanted to see what it is like to step into those characters shoes? Now is your chance? 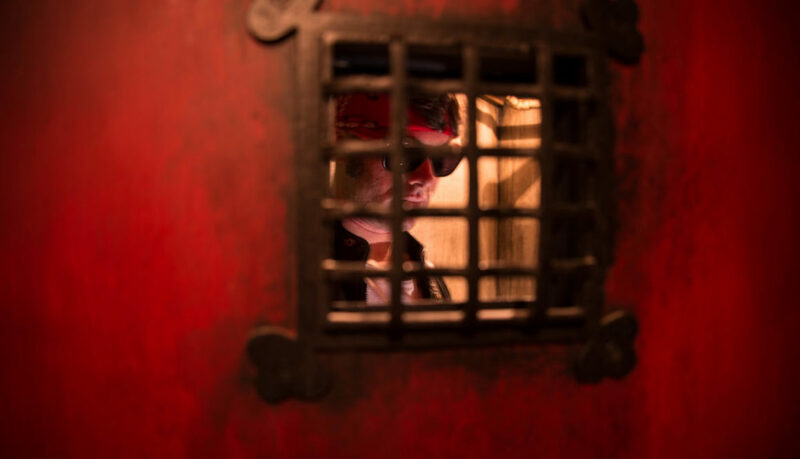 With the Hex Room you will be cast as either a detective, a rebel, a jock, a nerd, a prom queen, or a virgin and forced to escape a crazed killer. 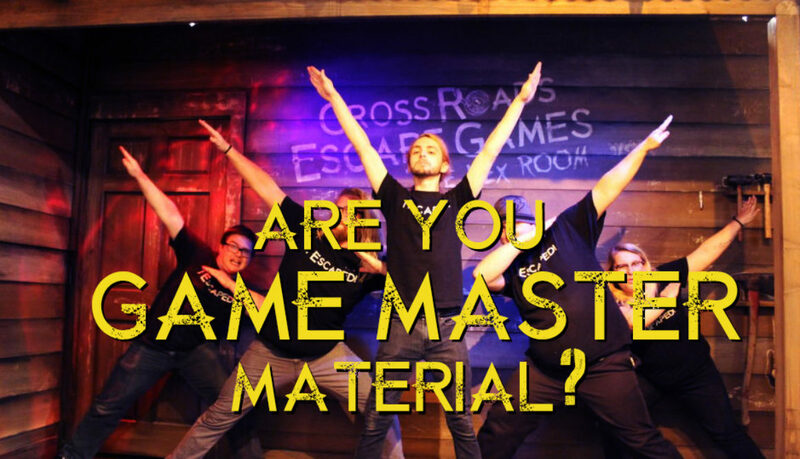 Are you interested in finding out which character you would be? Take our test here. Some thrill seekers visit their favorite haunts every year hoping that this year will be scarier than the last. They wait in lines and walk through mazes like sheep to the slaughter. They are dragged into the action by actors that jump out and give them a freight. And two minutes later they are out, screaming and laughing, but free. But what if you were locked in a room with no windows and only locked doors… what if you had 60 minutes to survive in that room instead of only two? That is what it would be like to be in an escape room. Many rooms employ scare actors or manipulate the inner terrors of their customers to make the experience as intense and haunting as most walk-through haunts. Now some horror fans take the initiative to become part of the horror movie in other ways, such as through immersive theatre. 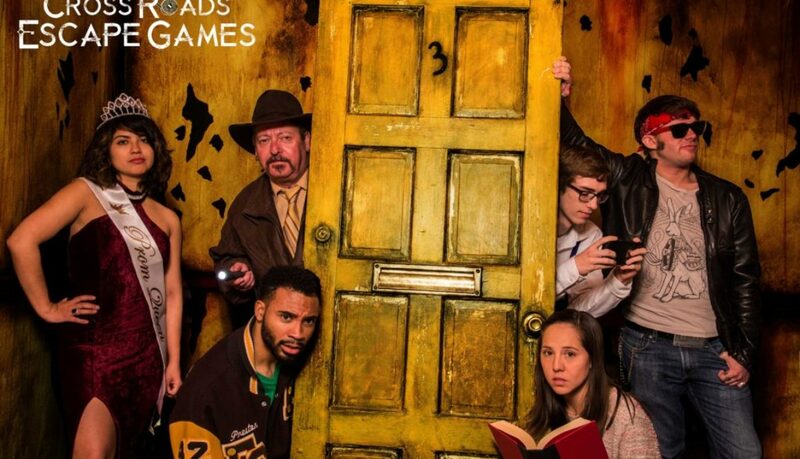 These productions take you into the action and make you a part of the drama just like an escape room would. However, there are no real stakes involved in many of them. Though you are part of the drama, you are still an audience member and protected by plot armor. What do you think it would be like if suddenly that protective mantle was removed, and you were placed in a room where you could escape or fail based solely on your own actions? Live or die, it is entirely up to you? 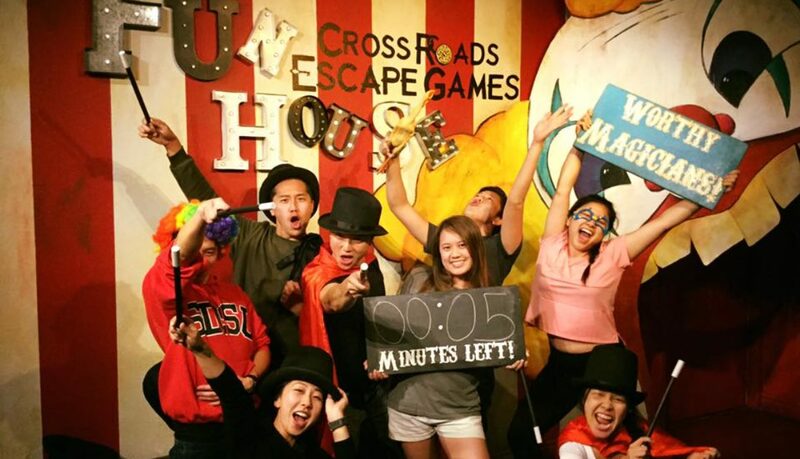 This is what makes Escape Rooms so thrilling. 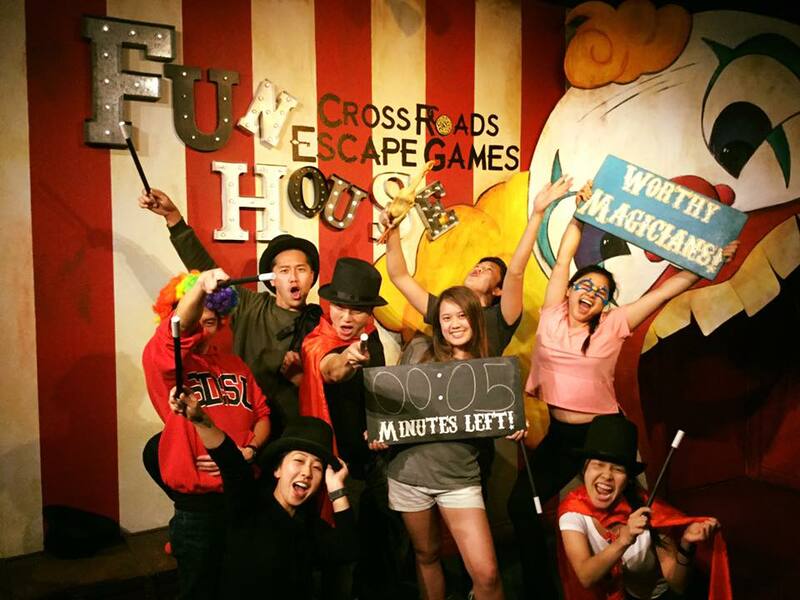 Unlike horror movies where everything is scripted, and you are just along for the ride; and unlike immersive theatre where they ensure that you have everything you need to make it to the final scene, Escape Rooms put you in the action. Everything you do, everything you forget to do, all of it has rewards and consequences. 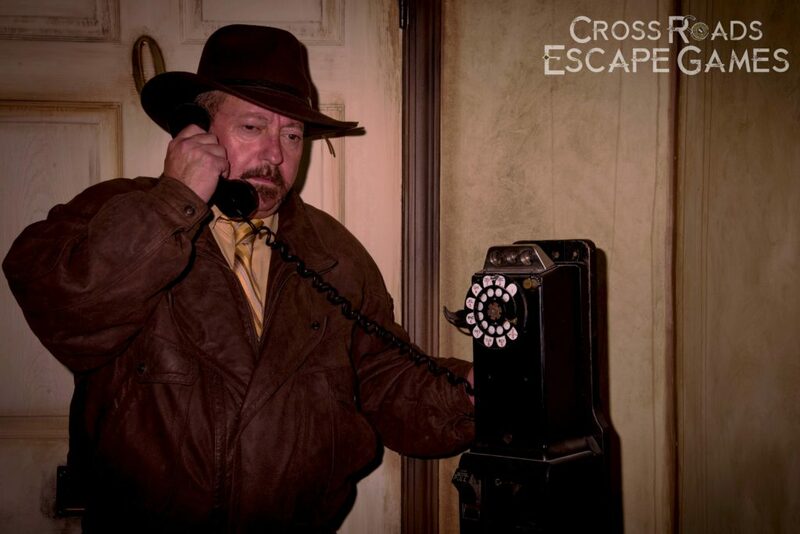 At the end of an escape room, your choices are your own. Good! So, you’ve taken our online personality test! But do you know what it means to be a Jock, Nerd, Virgin, Rebel, Prom Queen, or a Detective? In case you haven’t watched as many horror movies as we have, here is some information on what your horror movie stereotype says about you and how you can best live up to your role within your very own horror movie. It’s basically a mood ring, but instead of colors, it’s made of archetypes! The Detective is the person who has enough rapport with everyone to actually get them to listen to what they say. They are great listeners and when people talk, they pay close attention. However, the Detective usually spends most of their time trying to keep the other characters alive instead of actually solving the mystery. Has the highest chance of being killed while helping another character. PROS: Great communicator, great multitasker, good puzzle solver. CONS: High responsibility, so much paperwork, dresses like they’re in the 70s. EXAMPLES: Sergeant Howie (Edward Woodward) in The Wicker Man (1973); Dewey Riley (David Arquette) in Scream (1996). The rebel is known for doing rebellious things (who would have guessed it). This leads many of the other characters into thinking that they are more prepared for the horror movie than they actually are. I mean, if they are already used to doing crazy things, how much harder can it be to try and fight for your life against an insane serial killer… right? They are independent and don’t ask for other characters help, usually to their own dismay. Has the highest chance of being killed after separating from the group. PROS: Thinks outside the box, focused, outside observer. CONS: Not really a team player, probably has a tragic backstory. EXAMPLES: Marty (Fran Kranz) in Cabin in the Woods (2012); Taryn White (Jennifer Rubin) in Nightmare on Elm Street III (1987). Probably the only person in the group that voted against the rest of their team’s decision of leader of the group. Most likely, they voted for themselves. Plays enough sports to think that they are good at everything. Highest chance of suggesting the group split up to search for clues. Probably dies shortly after. CONS: Can’t easily change their mind, relies on strength over brains, has to ask Coach for permission. EXAMPLES: Glen Lantz (Johnny Depp) in Nightmare on Elm Street (1984); Curt (Chris Hemsworth) in Cabin in the Woods (2012). Highest chance to be killed right as he figures out some piece of vital information. PROS: Observant, good memory, planner, book smart. CONS: Nobody listens to them until it’s too late, loses their glasses like way too much. Seriously, get contacts. EXAMPLES: Randy (Jamie Kennedy) in Scream (1996). Probably showed up to the escape room late or right on time. Also, is most likely to have read the question “how many people have you kissed?” and asked if they have to answer that question. PROS: Driven, confident, has small group of close friends. CONS: Can get caught up on appearances, trust issues, can’t run in heels. EXAMPLES: Helen Shivers (Sarah Michelle Gellar) in I Know What You Did Last Summer (1997). The person that was brought along because everyone actually likes them. This being said, the virgin is most likely to be the one that is too afraid to fill out the questionnaire fully. They will leave answers blank in hopes that if they don’t admit to having fears, that they won’t have to deal with anything scary. 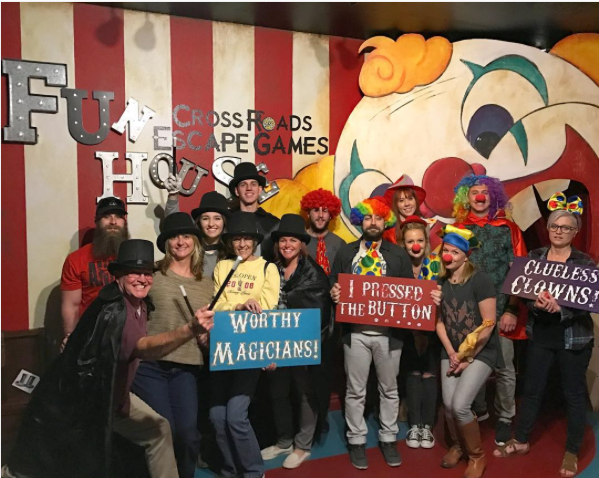 Most likely to have not realized that the Hex Room is a horror themed escape room when they were invited/when they booked the room. Highest chance of surviving the ordeal only to drag a new group of friends into the sequels! PROS: Sweet, friendly, avid reader. CONS: Too trusting, prone to being sacrificed, is going to suffer. EXAMPLES: Laurie Strode (Jamie Lee Curtis) in Halloween (1978); Sally (Marilyn Burns) in The Texas Chainsaw Massacre (1974). After taking this personality quiz, we are sure you will better know yourself and be better prepared for surviving a horror film. 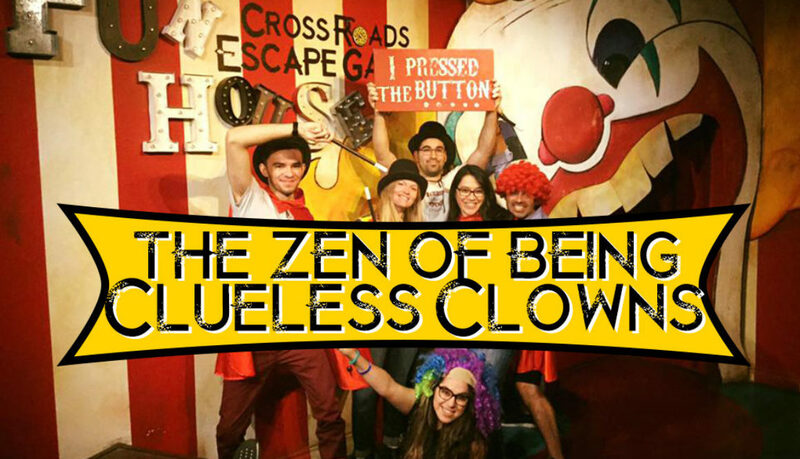 Want to put your new understanding of self to the test? 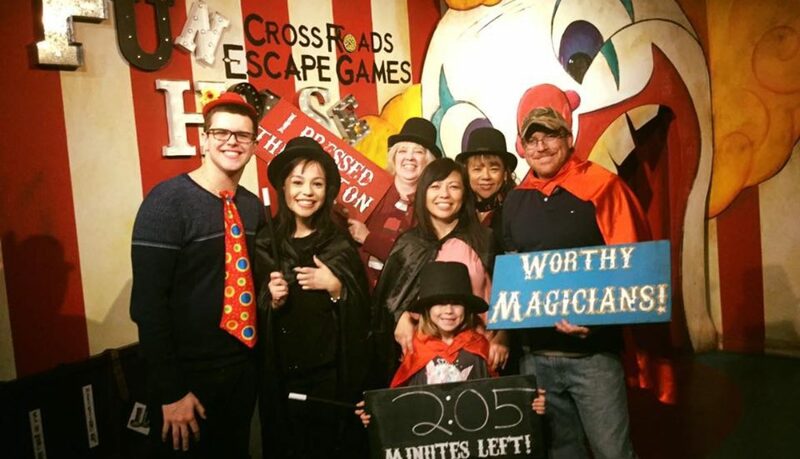 Get your most trusted group of friends together and enter The Hex Room.